This year, BNSF Railway, one of the country’s largest freight railroads, aims to hire 3,500 workers across the United States — a challenge at a time when employers nationwide say they are struggling to fill vacancies. So, BNSF is offering something rare in blue-collar America: signing bonuses up to $25,000 for hourly workers, including electricians, boilermakers, and pipefitters. 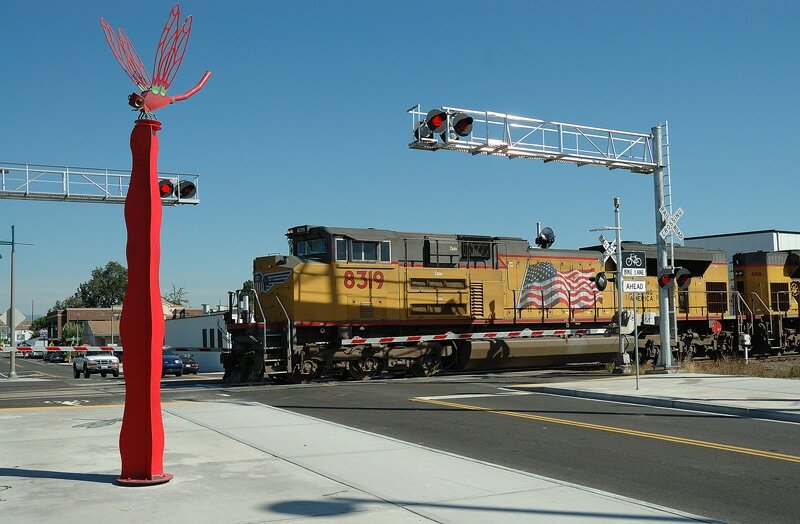 “We want to meet our customers’ needs, and we’re going to do what we need to do to hire for our company,” said Amy Casas, the railroad’s director of corporate communications. A blend of forces pushed BNSF to beef up incentives and signing bonuses, she said. The national unemployment rate has fallen to a 17-year low (4.1 percent), and the figure has dropped to 2.8 percent in some areas of the railroad’s network. Casas would not specify which of the 28 states with BNSF tracks have the toughest hiring climate, but Nebraska, Kansas, Iowa and North Dakota have jobless rates below the country’s average. The tight labor markets, combined with rising freight demand — a symptom of the “moving economy,” she said — has intensified BNSF’s talent-attraction efforts. Beyond the five-digit railroad perks, blue-collar industries such as construction and security are giving extra cash / signing bonuses to new hires, according to job listings and interviews with employers.